Find Out For Yourself...If You Dare!!! The Haunted Woods are located in the heart of the hillbilly devil’s triangle formed by Springfield, Decatur, and Taylorville. These three towns provide safety from the evil that lurks in the timber but no one is ever truly safe. Bordered by I-72 to the north, route 29 to the west, and route 48 to the east, the hillbilly devil’s triangle is legendary for disappearances, sightings of strange creatures, and cars on cinder blocks in front yards. The haunt is spread out over almost 10 acres of wooded landscape north of Mt. Auburn, IL. Beautiful by day, the Haunted Woods of Creek Hill take a turn for the worse when night falls. 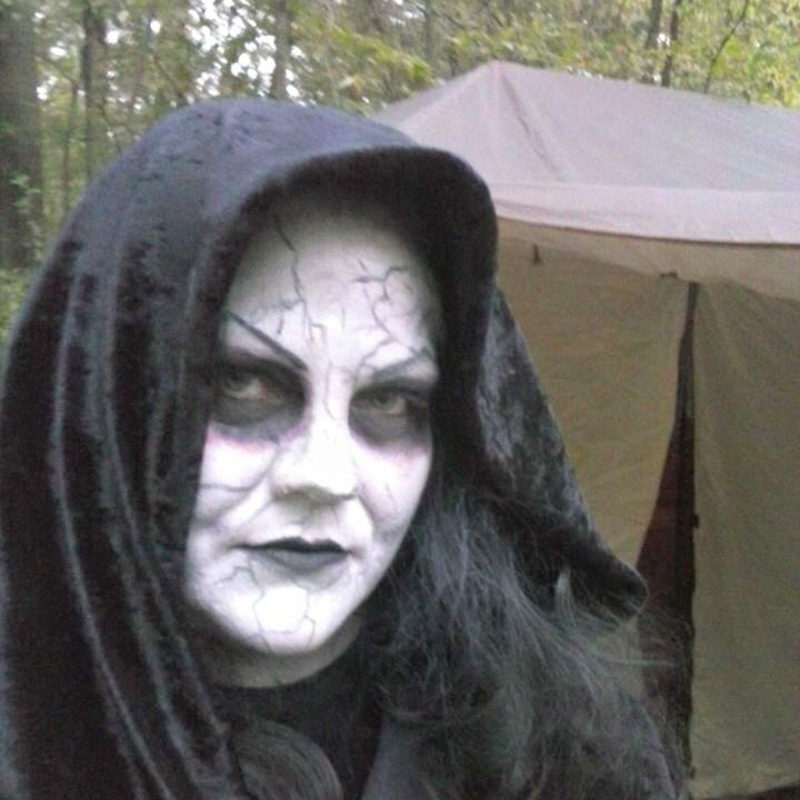 Many thrill seekers have visited the Haunted Woods since tours began in 2011. Most of them made it out alive. Well, a few of them walked into the Haunted Woods and walked out to tell about it. You have to ask yourself, “Are these woods safe?”. Want to Work in The Haunted Woods? Are you a monster, a freak, a witch, or a wild beast? A psycho clown that needs a place to lay low for the 2018 Halloween season? An actor, make-up artist, or someone who really wants to have fun scaring people? Well, you’re in luck. 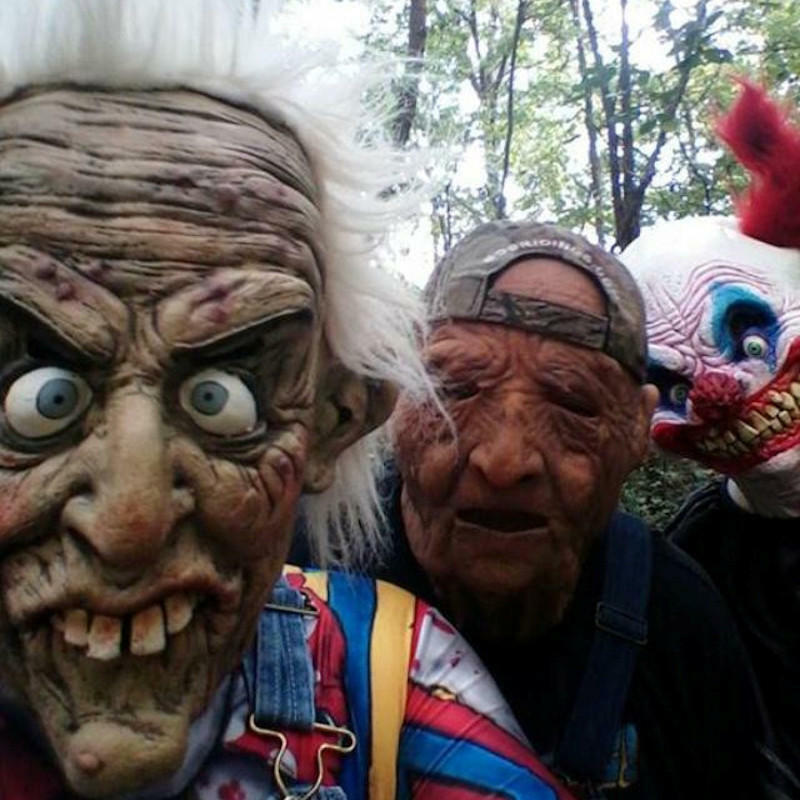 We work hard to get the Haunted Woods ready for October and could use always some extra hands. Or claws. Or tentacles. Whatever kind of appendages you have is fine by us. Anyone, or anything, is welcome to contact us for information on volunteering!